After getting several requests for custom crochet orders, I decided to put together a list of crocheters who are willing to take custom orders. 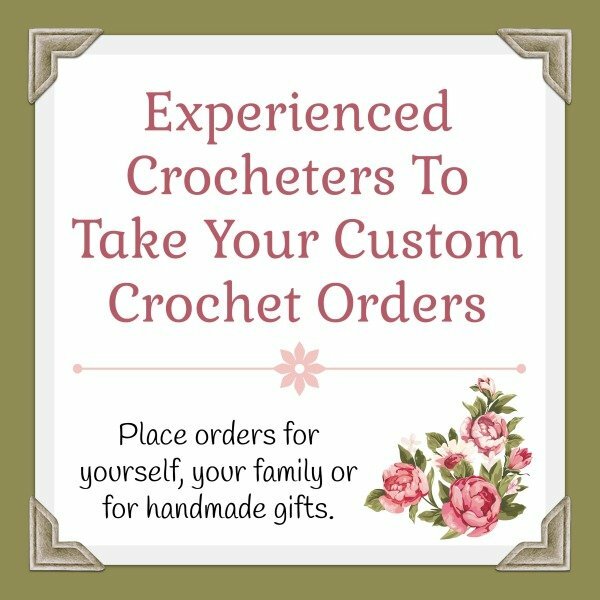 They are willing to crochet almost anything that you need, and some even have their own online shops that you can browse. The names are listed in alphabetical order. Please contact them at their emails given or visit their shop and contact them there. Note: In order to prevent spam emails, I put a space before and after the @ in each email. You will need to remove those spaces when you email your inquiries. I blog at EyeLoveKnots, and have been up and running about a year a half now. I mostly work crochet projects, from both my own patterns and others, but I also enjoy making my own jewelry, working up cards and invitations, painting, drawing, plastic canvas projects and anything else I can get my hands on. EyeLoveKnots was named to bring awareness to Retinoblastoma – an eye cancer that affects my family – blindness and other eye diseases. A small part of every sale is donated to the National Retinoblastoma Research and Support Foundation. You can find something in my shop for everyone in the family – but feel free to send in custom orders. If you’re looking for something but not sure what, I have several items pinned to my various Pinterest boards that I would love to work, but haven’t done so yet. Also feel free to send in your ideas, and I will try my best to create it! I love a good challenge. Contact information can be found in her Etsy Shop. You’ll find lots of items already finished, but she’s open to custom orders as well. 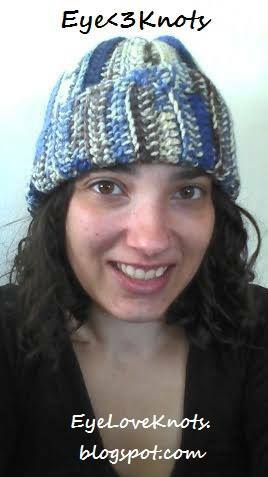 Gigi’s favorite things to crochet are hats, and you can tell because she does a fantastic job. You can view some of Gigi’s work on her Ravelry account: creationsbygigi. You can contact her there, or connect with her on Facebook or Pinterest. This shop is offering to make Custom Crochet Scarves & EarWarmers. You’ll find a gorgeous collection of finished items already in stock. You can contact her via the Etsy Shop. Choose from a variety of items in her Etsy Shop, or place your custom orders. Contact information is at the Etsy Shop. Leah has been sewing, knitting and crocheting for over 20 years, and she’s willing to share her gift with you and your family. You can also view her work in her Etsy shop QuiltandQuest or follow QuiltandQeust on Facebook. Contact Samra at her Etsy Shop or directly via email: samra_adams @ yahoo.com. Visit their Facebook page for a quick look of their finished items. You can also contact them there for custom orders. Thank you to all who have volunteered to be on this list, and hopefully everyone will have a chance to enjoy warmth and comfort of handmade crocheted items.